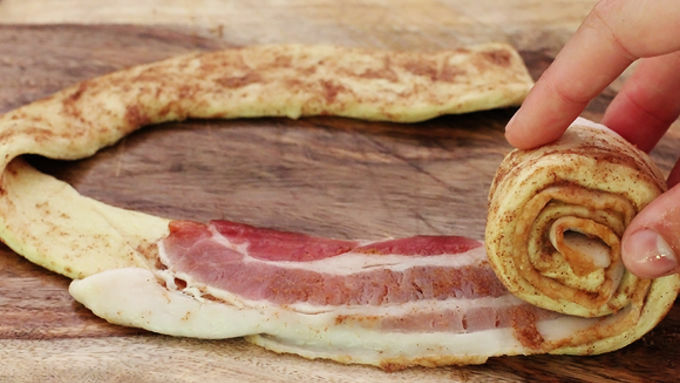 Just when you thought bacon and cinnamon rolls couldn’t be better, they’re COMBINED in this easy Bacon Cinnamon Rolls recipe! A match made in heaven. Well, a match made in your kitchen…pronto!! 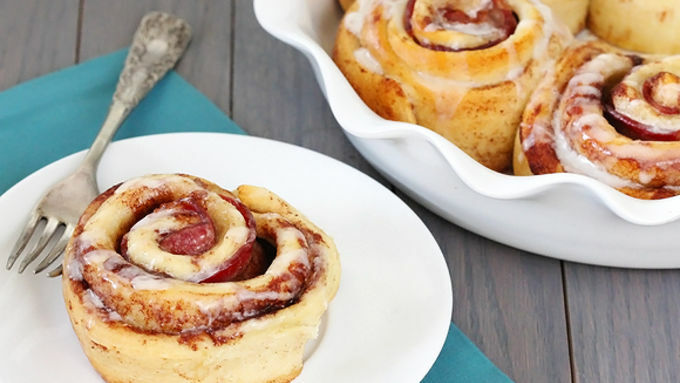 I admit, as much as I adore bacon and cinnamon rolls, I was a tad bit skeptical about whether or not I would love them together. But holy moly. They paired together PERFECTLY. The sweet and salty combination was of course a winner, but the balance was also perfect. 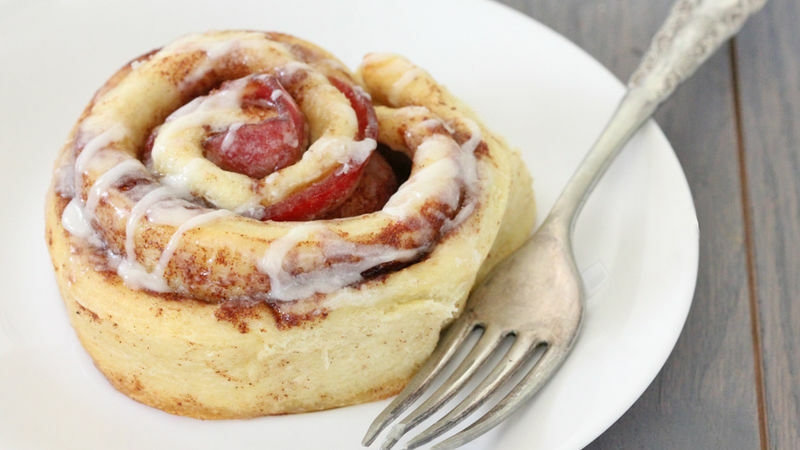 The bacon was the perfectly subtle touch to kick the oooey-gooey, sweet, icing-y cinnamon rolls up a notch. And of course, I also loved the fact that these took all of 5 minutes to prepare before popping them in the oven. Easy. Peasy. And ridiculously delicious. Make a batch with me. Or two. Or ten. Just two ingredients. Super easy. As soon as they are out of the oven, drizzle them with that heavenly frosting from the package. Admire them. Serve them up. And take a bite of the most heavenly breakfast combination EVER!!! Then share one with me.